Hide and Gin are given their second mission to investigate a teacher at their school who has been accused of espionage. I've been gushing about this series on Twitter, so obviously I'm enjoying the heck out of it. This volume is jammed packed with intrigue and surprises. By the end of it, I was somewhere I didn't think I would be and, quite frankly, this volume ends on a deliciously unsettling note. 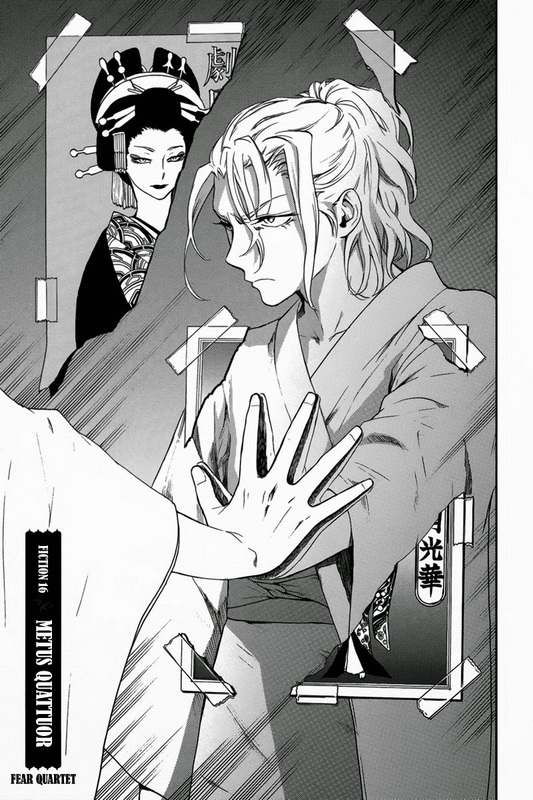 I have to ask myself is this shoujo? And how on earth is this series in a magazine like Margaret?! 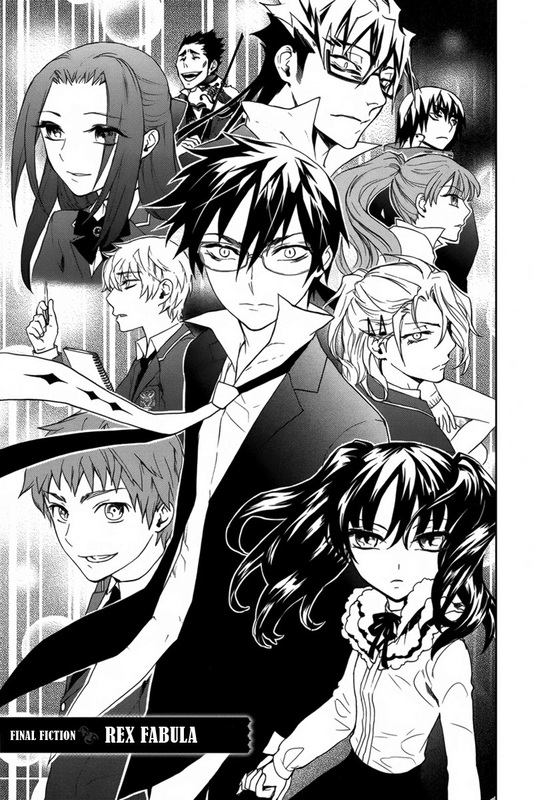 Artwork -- A: The manga is drawn in a fun style that reminds me of newpaper comic strips. 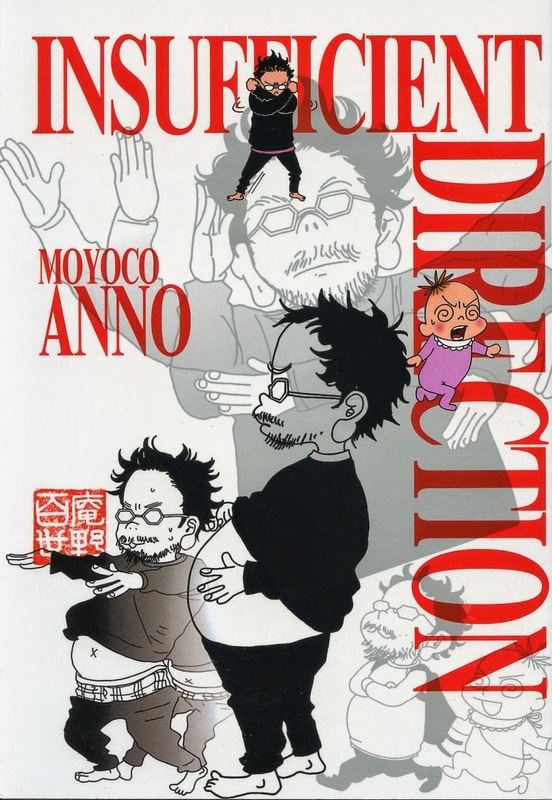 It's different from Moyocco Anno's usual style, which was cool. It shows artistic range. Presentation -- A: Of course I love the bigger book size because it's easier to read. There's a generous appendix that explains the references in the manga. The translation reads very smoothly. 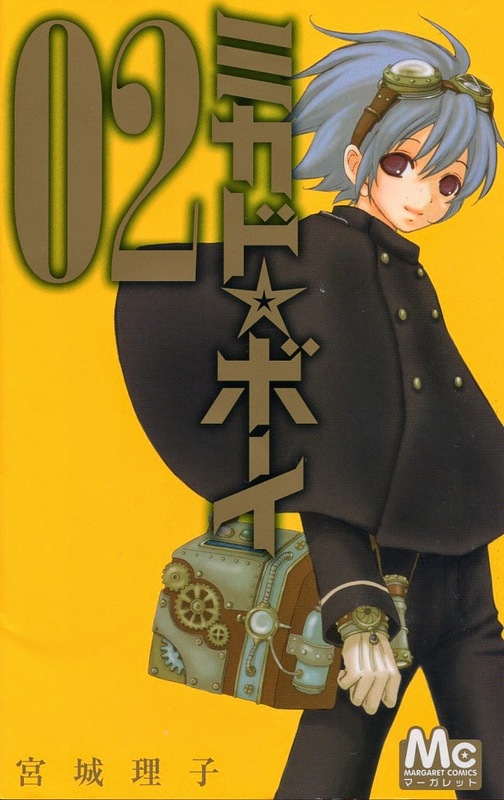 Story -- B: This is a tough manga fairly rate story-wise. There are many references to anime and manga and some inside marriage speak that only married people would truly understand. This means that the manga has limited accessibility. Honestly speaking, 90% of the references blew right past me, but I understand geek marriages perfectly well because I am a geek married to another geek. Anyhow, the compilation is broken into very short episodes that last a handful of pages. This makes for quick reads and small contained gag-based storytelling. I laughed a lot, mostly because the manga hit closer to home than I wanted. 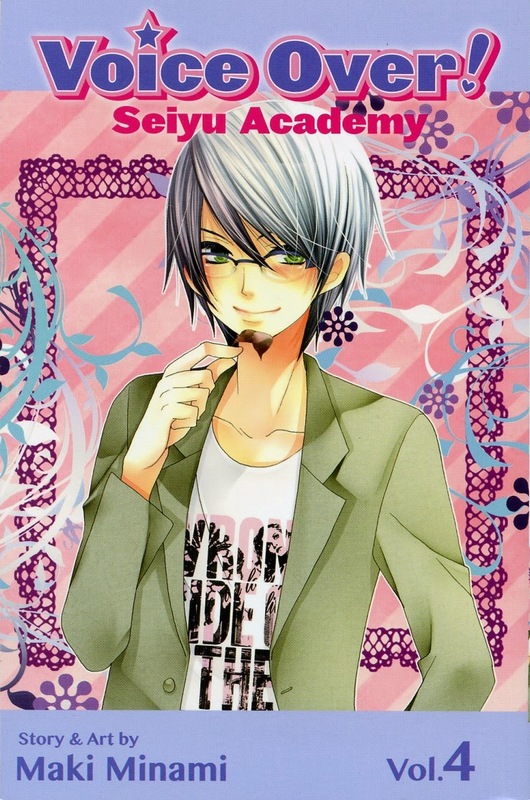 Overall -- A-: I liked this manga. Rompers and Director-kun are presented as an adorable and real geek couple. I also appreciated the quick-hit gag-style storytelling. This is a must for Moyocco Anno's adult fans who have read more of her works than "Sugar Sugar Rune." Younger people and non-geeks will probably find this manga to be inaccessible. Short Review: Iku faces the reality of war and her participation in it. The standard crying and questioning values comes forth as Iku deals with the possibility that she may have shot somebody. There's also an examination of violent vs. non-violent approaches to protest and how both can be highly politicized. The pacing of the chapter was nice. I read through it quickly in one sitting. This chapter also prompted me to reflect on what freedoms are worth dying for. There is a fun and funny short story at the end of the volume. I was grateful for this respite after such an emotional and weighty read up to it. I am kinda getting tired of the slow pace of Iku's and Dojo's romance. 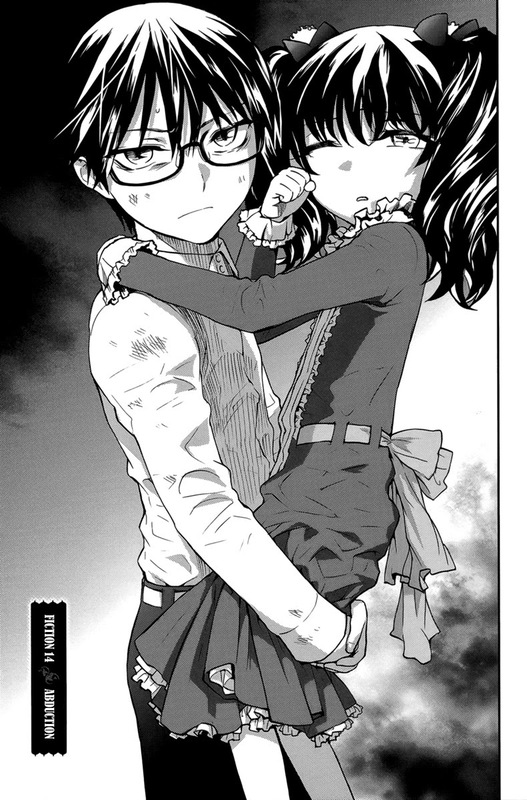 I want to see what they are like together as a romantic couple in these dangerous situations. The "almosts" and "holding back" are getting on my nerves. I feel like it's inhibiting character growth at this point. Overall B+: It's a thoughtful volume, but on the whole I was left unsatisfied with the lack of romantic progress between Iku and Dojo. Short Review: Hime is cast in a role and must overcome the misgivings of the sound director. As per every talent or fighting shoujo or shounen manga, Hime has a shortcoming that she must overcome. 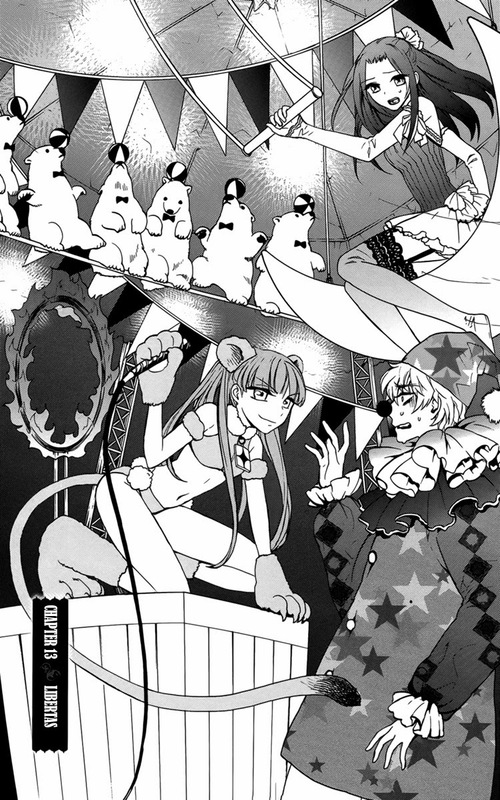 I loved every moment spent in the chapter showing Hime in her male disguise interacting with Kudo. The rest was standard idol-manga schlock that was handled in standard fashion. There were no surprises good or bad. At this point I'm only into this series for the relationships between characters. I couldn't care less about the idol storyline. Overall B-: It's still a fun read and the moments between Hime and Kudo are precious. The idol crap doesn't appeal to me at all. It's the second to last chapter!!! W00t!!!! The final chapter will release tomorrow. In this chapter we learn more about Renjirou's motivations. I feel bad for him, but at the same time, sometimes there people who try to put a person on the right track despite their desire to continue down the wrong one. We also get to the bottom of Imose's fear of women. It's so sad... yes, people, boys and men can be raped by women. Imose's doing the best he can. Now he has friends :). There are now two chapters left to go! Haha! 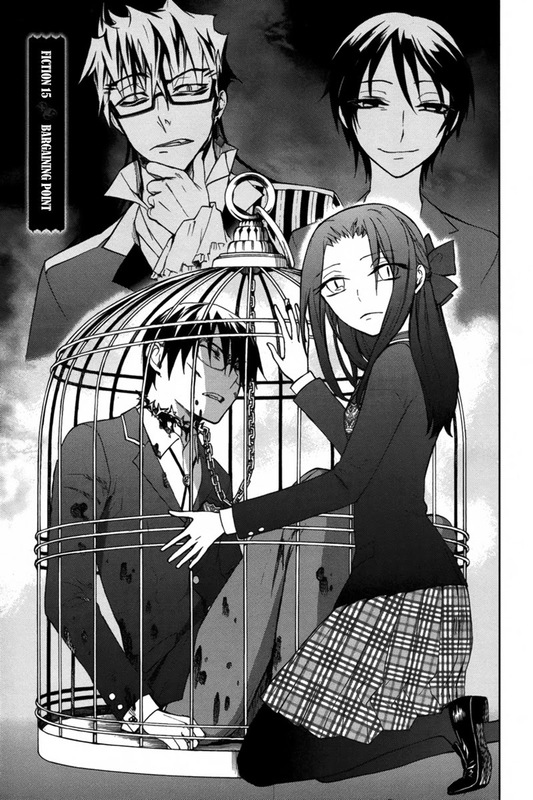 I think the frontis page kinda spoils the chapter, but haha! You gotta love Kurumisawa. The last two chapters will be released next week. And now onto the release! It's been a little more than six months since the last release of this series. I apologize for the delay. We've decided to concentrate on finishing the series now, so it's the only series I'm working on right now. There four more chapters left after this, and we expect to complete the series in about two weeks. This chapter focuses on Araragi's backstory. I feel bad for her, but in some sense I feel her personality makes her lot in life even worse. We are putting "Kisu ni Renzoku", the webcomic by Yuu Toyota, on hold until we are sure the volume 2 tankoubon is going to be released. We cannot finish the series without a paper version. For obvious reasons, I'm not going to "force" images out of the Polaris website. We want to properly buy the book. 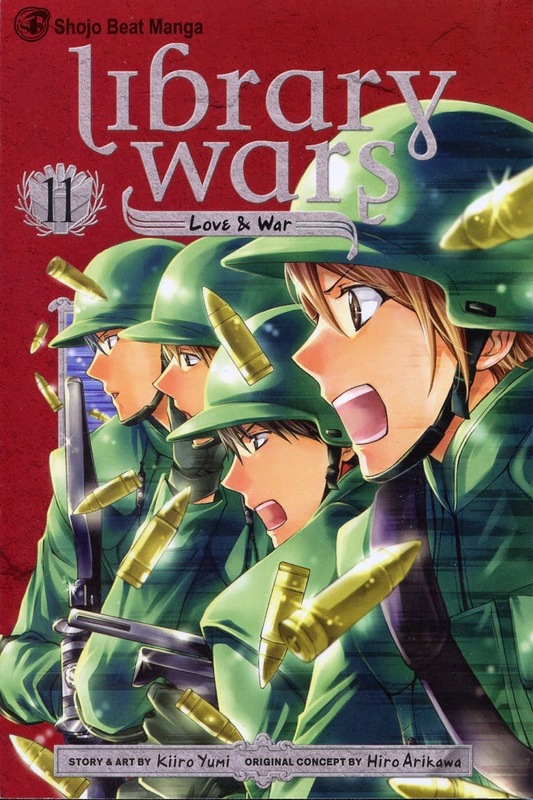 Anyone who wants to read the rest of the series can purchase the volume 1 compilation and then read the rest of the series in Japanese on the Polaris website. If another group would like to take on this project, please let me know, and we will drop it.